You are guaranteed a warm friendly welcome from Robin and Liz Desborough at The Mount House. 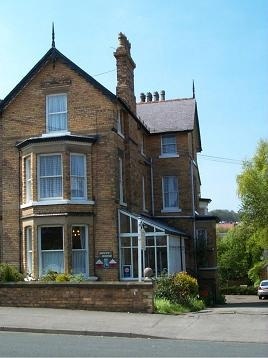 We are a comfortable family run 100% Non Smoking Victorian Guest House, situated on possibly one of the quietest roads in Scarborough. Our aim is to give good quality and great value service appealing to families or adults seeking a memorable relaxing holiday in an informal atmosphere. We have a full range of rooms that are large, bright and airy, tastefully decorated in neutral colours with a homely feel. Ten years now at The Mount House and still loving it! We aim to offer you a 'home from home' atmosphere to make your stay enjoyable. We have private parking on the premises. The beach, town, theatres, Spa Complex & railway station are only a 15 minute stroll away and Oliver's Mount & University Campus a short drive away. Come & let us spoil you!